Roger Flower, David Ryves and Chris Carter, Barton-under-Needwood Quarry, South Staffordshire, UK. 05 Jun 2014. © C.F.Carter(chris.carter'at'6cvw.freeuk.com. Late stage akinetes and heterocysts. Collected by Alan Butler, Orkney, Scotland.. 23 Jun 2010. © C.F.Carter(chris.carter@6cvw.freeuk.com). This is the type species (holotype) of the genus Nodularia. Produces a peptide, hepatotoxin, which can kill domestic and wild animals that drink from the shores of eutrophic ponds, lakes and reservoirs. Affected animals include: cattle, horses, sheep, dogs, pigs, fowl, turkeys, mice, and perhaps other birds and fish. The toxin is known to contaminate drinking water and may also accumulate in mussels. Fish and crustacea are said to avoid estuaries affect by Nodularia blooms (Hallegraeff, 1991: 94). Harmful species (Lassus et al. 2017). Type locality: Norderney, East Frisian Islands, Germany [see note below] (Silva, Basson & Moe 1996: 70). Notes: Europe; Australia (INA). The above type locality refers to Nostoc spumigena Mertens in Jürgens 1822 [Nostoc spumigena (Mertens) Drouet 1978]. Jürgens, G.H.B. (1822). Algae aquaticae quas, et in littora maris dynastium Javeranum et Frisiam orientalem alluentis rejectas, et in harum terrarum aquis habitantes, collegit et exsiccavit Georg Bernhard Jürgens, Jeveranus. Vol. Decades 11-16. Hanover: Mettcker, Jever & Hahn. Kim, B.-H., Oh, H.-M., Lee, Y.-K., Choi, G.-G., Ahn, C.-Y., Yoon, B.-D. & Kim, H.-S. (2006). Simple method for RNA preparation from cyanobacteria (Note). Journal of Phycology 42: 1137-1141. Komárek, J. & Komárková-Legnerová, J. (2002). Contribution to the knowledge of planktic cyanoprokaryotes from central Mexico. Preslia 74: 207-233. Mazur-Marzec, H., Blaszczyk, A., Felczykowska, A., Hohlfeld, N., Kobos, J., Torunska-Sitarz, A., Devi, P., Montalvao, S., D'Souza, L., Tammela, P., Mikosik, A., Bloch, S., Nejman-Falenczyk, B. Wegrzyn, G. (2015). 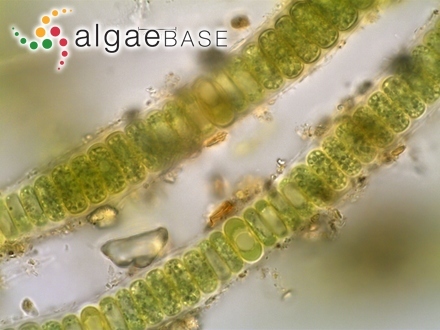 Baltic cyanobacteria - a source of biologically active compounds. European Journal of Phycology 50(3): 343-360. O'Brien, H.E., Miadlikowska, J. & Lutzoni, F. (2006). Assessing host specialization in symbiotic cyanobacteria associated with four closely related species of the lichen fungus Peltigera. European Journal of Phycology 40: 363-378. Tavera, R. & Komárek, J. (1996). Cyanoprokaryotes in the volcanic lake of Alchichica, Puebla State, Mexico. Algological Studies/Archiv für Hydrobiologie, Supplement Volumes 83: 511-538. Accesses: This record has been accessed by users 3695 times since it was created. Birch, P.B. & Gabrielson, J.O. (1984). 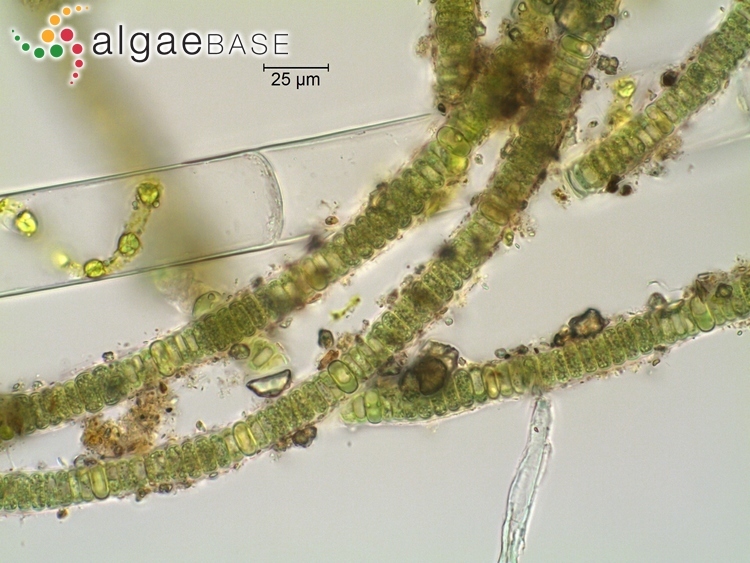 Cladophora growth in the Peel-Harvey estuarine system following blooms of cyanobacterium Nodularia spumigena. Botanica Marina 27: 17-21. Blackburn, S.I., McCausland, M.A., Bolch, C.J.S., Newman, S.J. & Jones, G.J. (1996). Effect of salinity on gowth and toxin productin in cultures of the bloom-forming cyanobacterium Nodularia spumigena from Australian waters. Phycologia 35: 511-522, 8 figs, 1 table. Bursa, A.S. (1968). Epicenozy na Nodularia spumigena Mertens w Baltyku Epicenoses on Nodularia spumigena Mertens in the Baltic Sea. Acta Hydrobiologica [Polska Akademia Nauk] 10(3): 267-297. Gabrielson, J.O. & Hamel, K.S. (1985). Decomposition of the cyanobacterium Nodularia spumigena. Botanica Marina 28: 23-27. Galat, D.L., Verdin, J.P. & Sims, L.L. (1990). Large-scale patterns of Nodularia spumigena blooms in Pyramid Lake, Nevada, determined from LANDSAT imagery - 1972-1986. Hydrobiologia 197(MAY): 147-164. Huber, A.L. (1986). 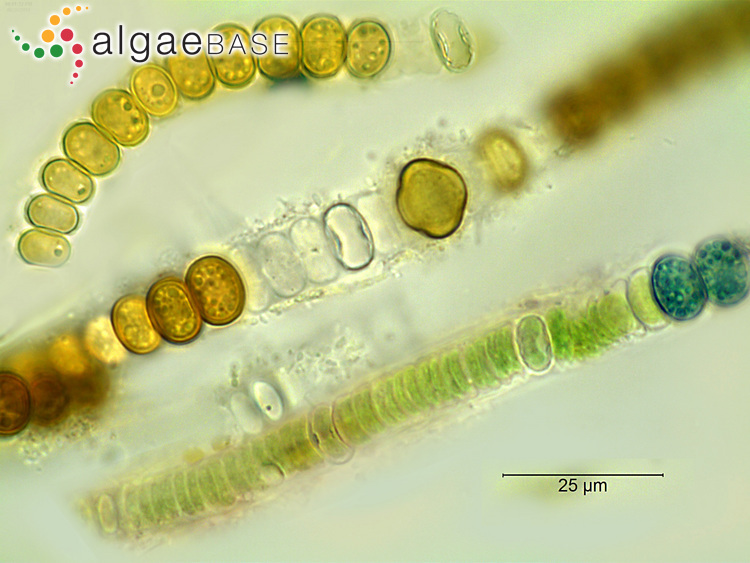 Nitrogen fixation by Nodularia spumigena Mertens (Cyanobacteriaceae). 1: Field studies and the contribution of blooms to the nitrogen budget of the Peel-Harvey Estuary, Western Australia. Hydrobiologia 131: 193-203. Jodlowska, S. & Latala, A. (2010). 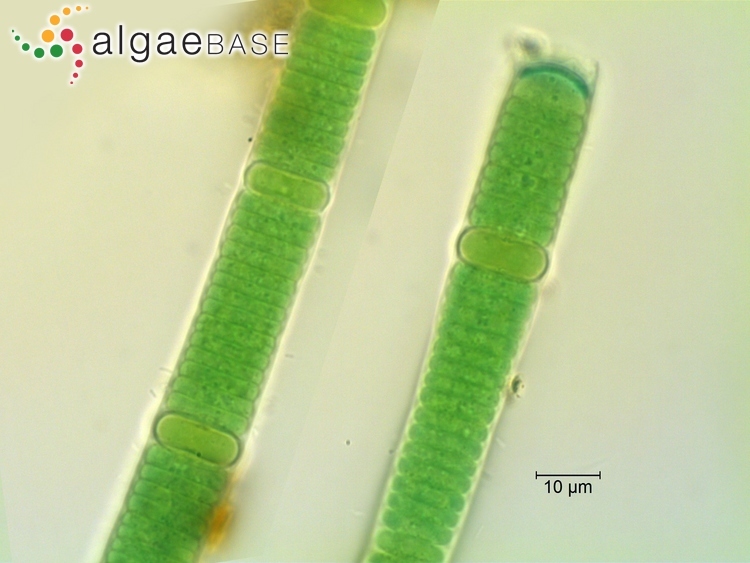 Photoacclimation strategies in the toxic cyanobacterium Nodularia spumigena (Nostocales, Cyanobateria). Phycologia 49(3): 203-211. Kankaanpää, H.T., Sipiä, V.O, Kuparinen, J.S., Ott, J.L. & Carmichael, W.W. (2001). Nodularin analyses and toxicity of a Nodularia spumigena (Nostocales, Cyanobacteria) water-bloom in the western Gulf of Finland, Baltic Sea, in August 1999. Phycologia 40: 268-274. Krüger, T., Oelmüller, R., Luckas, B. (2009). Comparative PCR analysis of toxic Nodularia spumigena and non-toxic Nodularia harveyana (Nostocales, Cyanobacteria) with respect to the nodularin synthetase gene cluster. European Journal of Phycology 44(3): 291-195.